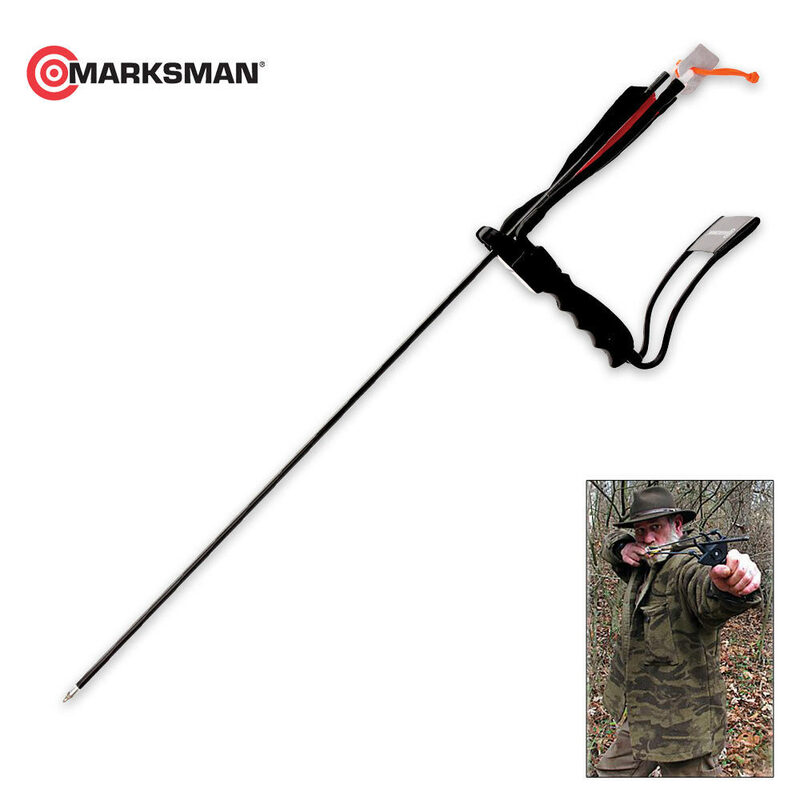 Marksman Pocket Hunter Slingshot | BUDK.com - Knives & Swords At The Lowest Prices! The innovative new Pocket Hunter slingshot from Marksman improves the popular standard Marksman slingshot by converting it into an efficient, compact hunting tool that is lightweight and folds for easy transport, making it ideal for backpacks, bug-out bags and belt loops. Don't be fooled by the compact size and design of this slingshot-the Pocket Hunter propels the included arrow bolt at 115 feet per second with a 42-lb. pull weight. The patent-pending adapter helps you to achieve pinpoint accuracy when launching arrows.